The entirety of AVITA Laptop products do not support update of Windows 10 S.
AVITA does not have plans to release Windows 10 S based Laptop products. 1. NEXSTGO provides limited warranty period, eighteen (18) months, for customer who has free carry-in repair service, including parts and labour for the notebook computer. 2. The limited warranty covers the battery pack within eighteen (18) months of the original purchase date as shown on the original proof of purchase. 3. The limited warranty covers the power adaptor within eighteen (18) months of the original purchase date as shown on the original proof of purchase. 4. NEXSTGO accepts goods exchange (except for displayed products) after verified by Repair Service Centre with more than five (5) defective pixels within seven (7) calendar days from original date of purchase. Goods returned to dealer must be in original packing, with accessories and proof of purchase. 5. NEXSTGO accepts goods exchange (except for displayed products) after verified by Repair Service Centre with hardware failure within seven (7) calendar days from original date of purchase. Goods returned to dealer must be in original packing, with accessories and proof of purchase. 6. Customer must present the original proof of purchase to NEXSTGO Repair Service Centre for verification when warranty service is rendered. Service fee will be charged if any one of the documents cannot be produced. NEXSTGO reserves the right to refuse services to anyone if original proof of purchase cannot be produced. 7. Customer is responsible for delivering and collecting the Computer at his/her own cost when carry-in repaired service is requested. 8. This limited warranty covers hardware only. Software, accessories such as connection cables, power cables and CD/DVD are excluded in the warranty. 9. NEXSTGO is not obligated to re-install preloaded software. Handling fee will be charged for the request of re-installation service. 11. NEXSTGO may use parts or products that are new or refurbished and equivalent to new in performance and reliability in servicing your product. 12. Any detective part which has been replaced, shall be NEXSTGO's property. 13. Customer should backup his/her own hard disk contents of his/her own accord before repair. NEXSTGO shall not provide hard disk backup service. 14. In case of repair, hard disk content may be destroyed and customer will not be informed in advance. NEXSTGO shall not be liable for any data, records or program lost due to repair. 15. Please refer to the Repair Terms and Conditions for the details on the Repair Services. AVITA LIBER adopts the SBS (Smart Battery System) and has self-learning function. If you find the power level is displayed incorrectly, please take the following steps to resynchronize the SBS battery smart system with the battery. For further service you can also contact our service center. 3) Wait until Notebook shut down by itself again. 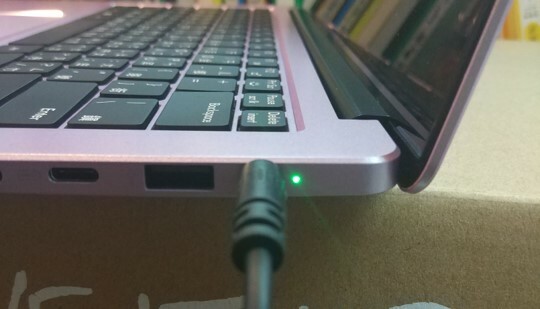 4) Plug in AC-DC Adaptor to charging the Notebook until the Notebook is fully charge. 5) The Self learning of SBS Fuel gauge is finished. Did the AVITA LIBER's charge indicator never show the green light? 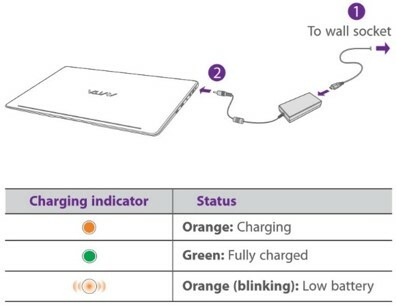 When the laptop’s battery power is still more than 95%, the battery will not be charged when the AC adapter is connected. This is normal battery protection, not battery or charging problems. When connected to an AC adaptor, power is supplied by the AC adaptor and does not consume the battery's power, but the lithium battery itself will still discharge (self-discharge) at a very slow rate due to chemical characteristics. 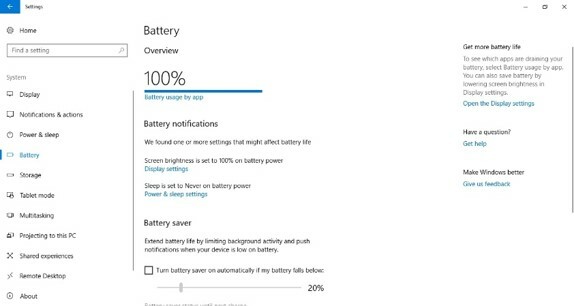 In order to avoid excessively frequent recharging caused by self-discharge affect the life of the battery, only when the computer detects the battery power is less than 95%, will recharge the battery to 100%. 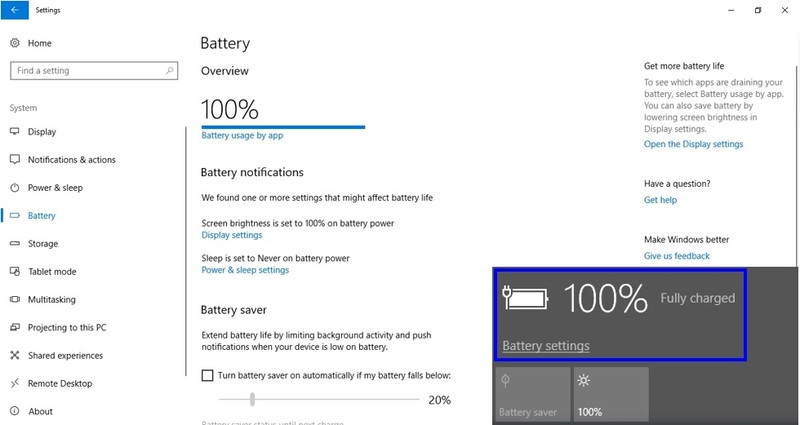 When the battery charge reaches 100%, the computer will automatically stop charging the battery. Therefore, when the user connects the AC adaptor when the battery power is still more than 95%, the battery can only slowly consume power in a self-discharging manner. Only when the battery power is lower than 95%, the system will recharge the battery to 100%. %, the indicator will turn green when the battery is full. 1. 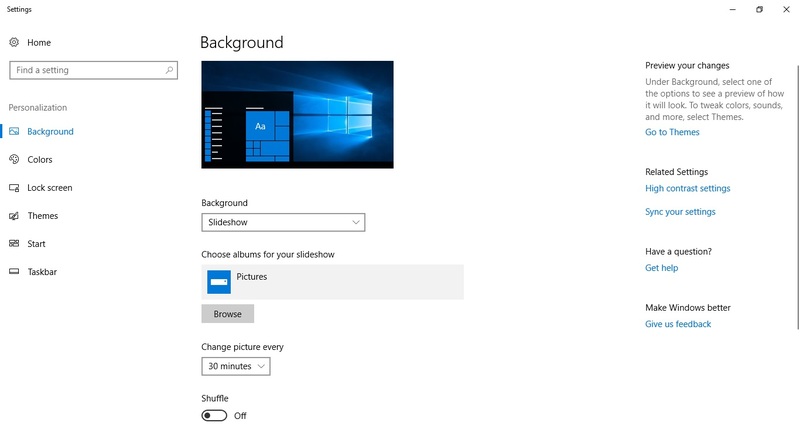 Windows 10 default desktop display is set to "pictures“. And the system default image will be displayed. 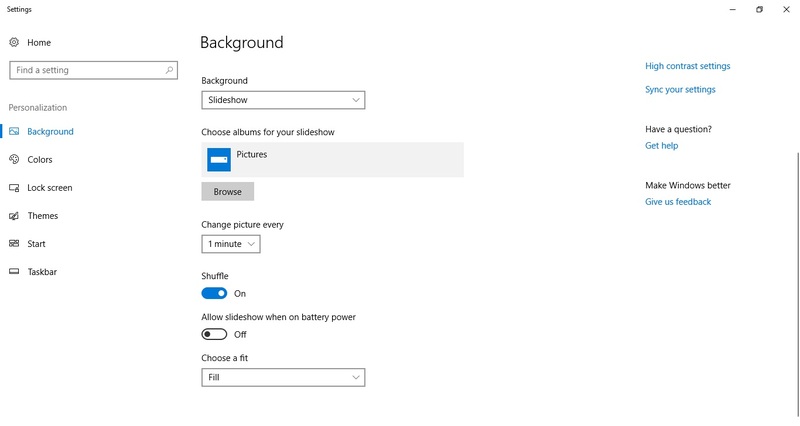 If the user needs to change the setting to “Slide Show”, please follow the steps below to make the setting to avoid the abnormal display of the desktop image. 2. Right click on the desktop and select "Personalization"
6. 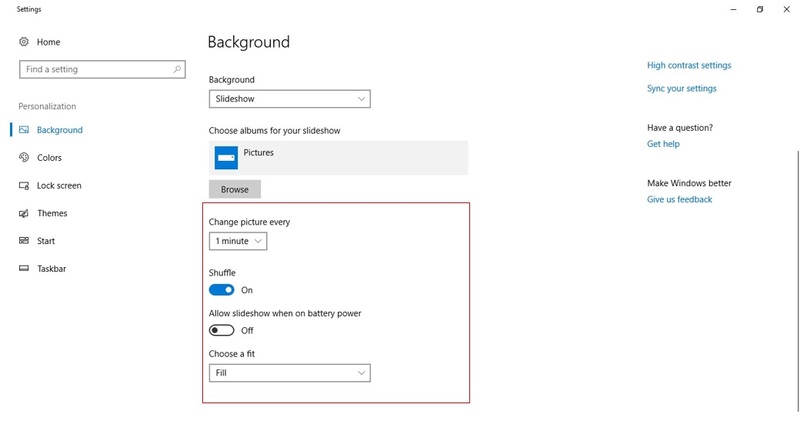 According to the required content, click on the slide change time and display method. Please select the Start button and select Settings> Device> Touchpad. Then make adjustments according to your personal settings. 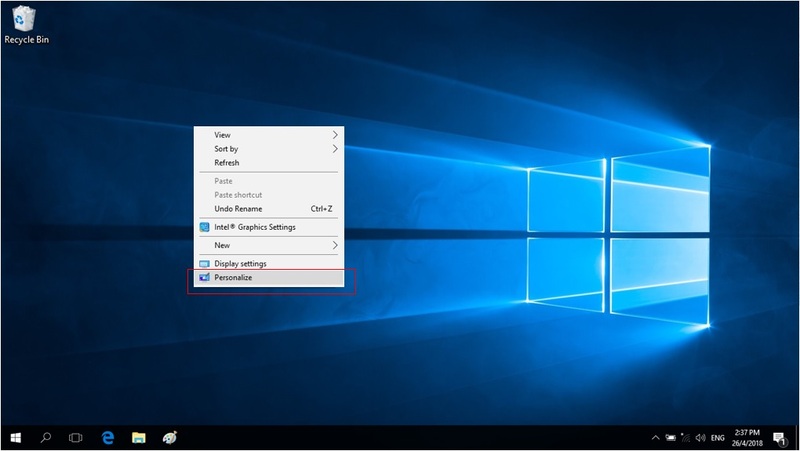 Can USB 3.0 Type-C charge the laptop? Priority of AC and type-c adapter? USB 3.0 Type-C able to charge by USB type-c charger/ powerbank which support USB PD 1.0 / 2.0 / 3.0 with "Emarker IC" type-C cable directly, but charging would not work if attaching any converter. Its supported voltage/current is 12V/2A, 15V/2A, 20V/2A, and supports shutdown charging w/PA, DP Alt mode 4K @ 60Hz. Power supply from AC adapter is prior than type-c adapter. 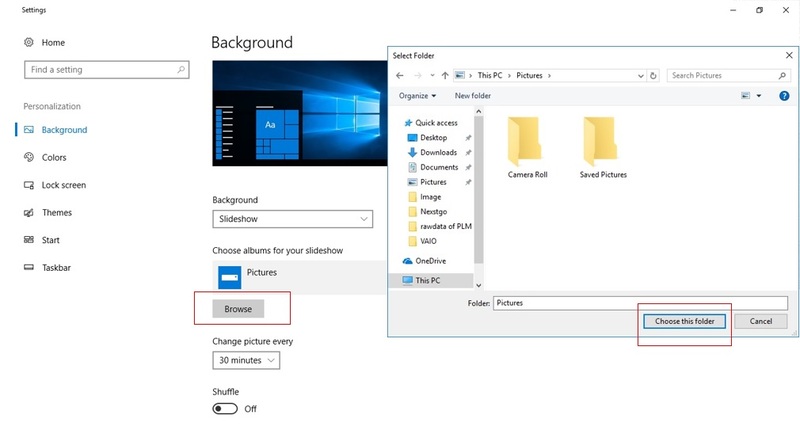 There are some cases reported sound card device cannot be detected once completed windows update after 10-Oct-2018. It is suggested to download valid sound card driver at Avita web site to resolve the problem. 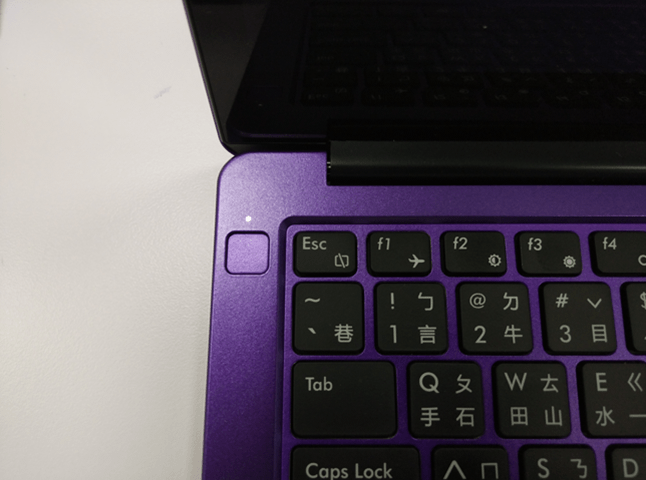 This is the typo of QSG and corrects that Dongle's USB Type-C port can be charged and unreadable. Centrino Logo, Core Inside, Intel, Intel Logo, Intel Core, Intel Inside, Intel Inside Logo, Intel Viiv, Intel vPro, Itanium, Itanium Inside, Pentium, Pentium Inside, Viiv Inside, vPro Inside, Xeon, and Xeon Inside are trademarks of Intel Corporation in the U.S. and other countries. Models or specifications may vary from country to country. Check with your local distributors or retailers for any updates on the current product. Colors of actual products may differ from product shots due to photography lighting or display setting of your viewing device. We try our best to provide accurate and complete product information online yet we reserve the rights to keep, change or correct any information without further notice. Windows is either registered trademark or trademark of Microsoft Corporation in the United States and/or other countries.